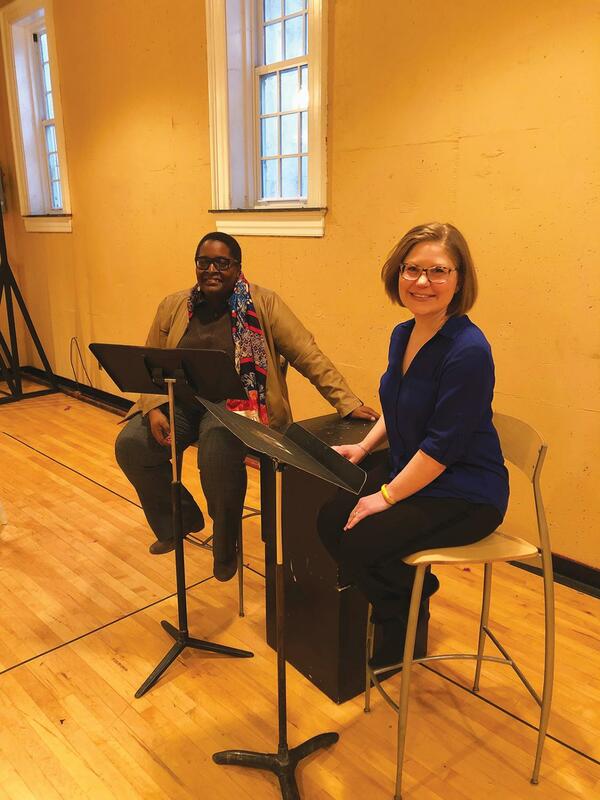 Theatre Studies Department Chair Robin Vest alongside Part Time Lecturer for Theatre Studies Beth Ritson-Lavender hosted an afternoon play-reading event on Jan. 30 in the Acting Studio. The play, “Roan @ the Gate,” follows a data analyst for the National Security Agency, Roan, and her relationship with her wife, Nat, who is a lawyer committed to human rights advocacy. 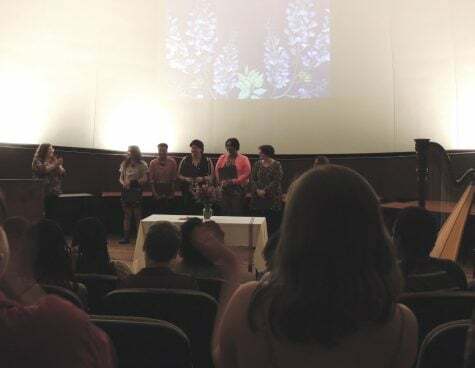 Students, faculty and other community members joined in attendance as the playwright Christina Gorman’s entire script was read aloud by Part Time Lecturer of History J. Tiffany Holland (Nat) and Associate Professor of Music Wendy Looker (Roan). “People take advantage of other people, Roan. That’s what they do,” read Holland off Nat’s lines. The line epitomized the thesis of the play, as the script analyzes the dynamics between the general society and marginalized groups and a government and its citizens. The major themes were cybersecurity, whistleblowing and internet privacy. Morally and ethically, the two main characters were posed with the question: How far would you go to do the right thing? Based in Washington D.C., Nat and Roan’s relationship offers a life partnership complex where the two characters are both forced to make choices between their personal and professional lives. Throughout the dialogue between the two characters, the audience is shown how the pressures of society can negatively impact another. In this instance, Roan is forced to keep the details of her job at the NSA private, including from Nat. The written dialogue along with Holland and Looker’s voice-acting performances demonstrated the emotions felt by the characters. Roan worked on an “anti-terrorist” NSA project that would allow the surveillance and storage of online data from citizens, regardless of their knowledge of it. The analyst steps into a whistleblower role to expose the agency and cooperates with a British journalist to share NSA documents with classified information to the public. Once the NSA grows suspicious, Roan’s life becomes a slippery slope to a point where she finds herself hiding in Moscow. When Roan gets caught up in case that would incriminate her for treason, Nat travels to Russia to find Roan. Throughout the reading, both Holland and Looker added gestures to support their dialogue. Conflicts arose between Nat and Roan as the play progressed, due to trust issues from Roan’s side, who feels Nat could be wired by police, and anger from Nat, who feels betrayed by Roan for not showing her the true nature of her job. During the many ensuing conflict scenes, the tone of both characters strengthened heavily to a point where both Holland and Looker rose to their feet during an argument between Nat and Roan. At the conclusion of the reading, Ritson-Lavender led a discussion about the details of the play, the performance from the actors and the topic of online privacy and safety. While the Guilford’s cast will not be performing “Roan @ the Gates,” the Luna Stage in West Orange, New Jersey will perform the world premiere of the play beginning on Feb. 2 and ending of Feb. 24. The play will be directed by Michelle Tattenbaum. 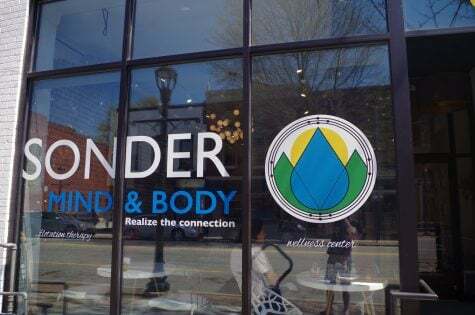 A date has not been set for the next play reading on Guilford’s campus, but Ritson-Lavender is confident that another event is soon to come.